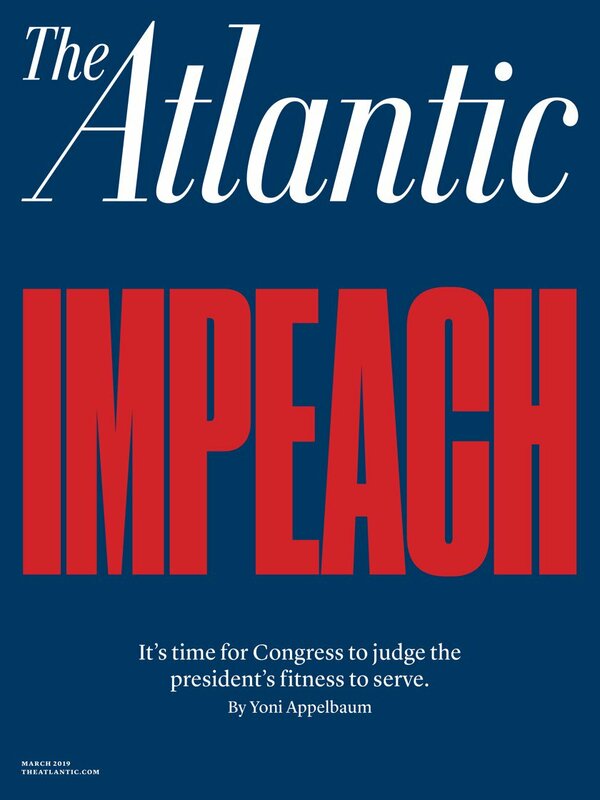 The Atlantic magazine says it’s time to impeach President Donald Trump. The magazine’s upcoming March edition calls on the House of Representatives to “immediately open a formal impeachment inquiry.” Trump has failed to keep his oath of office and “routinely privileged his self-interest above the responsibilities of the presidency,” wrote senior editor Yoni Appelbaum. The president has also “demanded that public officials put their loyalty to him ahead of their duty to the public,” “evinced little respect for the rule of law” and has “repeatedly trampled upon” Constitutional rights. “These actions are, in sum, an attack on the very foundations of America’s constitutional democracy,” Appelbaum added, calling impeachment “a vital protection against the dangers a president like Trump poses.” He called impeachment a “process, not an outcome,” which would allow for an investigation into Trump with rule-bound procedures. In an accompanying editorial, editor-in-chief Jeffrey Goldberg said the magazine worked to “be of no party or clique” and was “hesitant to endorse candidates.” In 2016, however, the magazine endorsed Hillary Clinton, calling Trump “spectacularly unfit” for office. “In retrospect, we may have been guilty of understatement,” Goldberg wrote.